Lock in a great price for Hotel Walter's Hof – rated 8.9 by recent guests! 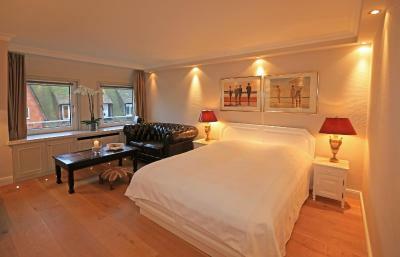 Great location, nice breakfast and a beautiful room. I must say I really enjoyed this experience. The people at the reception were the nicest and most friendly and really helpful. Our room was pretty big with a view overlooking the nearby dunes (it was raining, on a clear day you can also see the sea). The bed was huge and comfortable, we also had a Nespresso coffee machine, which is a really nice addition to the room, if you ask me. Overall a roomy space with a nice bath, TV has a lot of channels, there is a safe and a refrigerator available. Amazing terrace for breakfast. 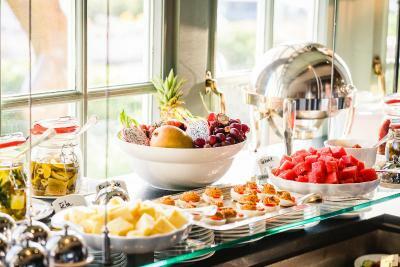 For breakfast you have a selection of meats, smoked salmon, cheeses, various vegetables and so on. You also have the option to have a hot meal (Eggs benedict for example) P.S. Good coffee! Very special location with a wonderful view, quiet, slept very well in extremly comfortable beds. Exquisit breakfast buffet and first class dinner. Highly recommended ! Atmosphere, candle lights and nice music all day long and the most wonderful view Someone can have on Sylt, maybe worldwide. Great breakfast with lots of choices, more than Someone can ever try. Very personal place with friendly staff to make you feel at home. 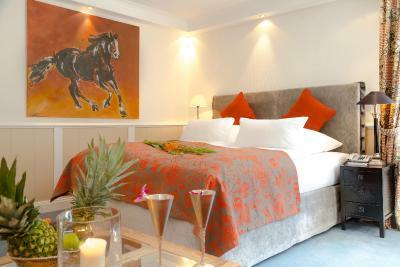 Super comfortable rooms, very nice interior and art around the hotel. Super nice owner and staff! Sehr liebevoll und familiär. Ich komme gerne wieder. 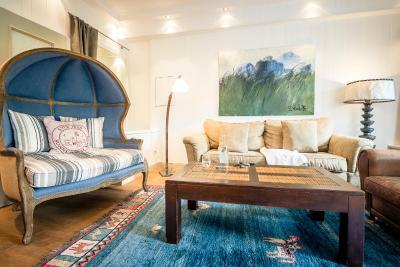 Die Lage war hervorragend und das Zimmer sehr groß ! Aufgrund geringer Auslastung kostenloses Upgrade auf eine Suite erhalten. Das Personal war immer sehr freundlich und es wurde auf die Wünsche der Gäste eingegangen. Tolle Zimmer, moderne Ausstattung und Einrichtung. 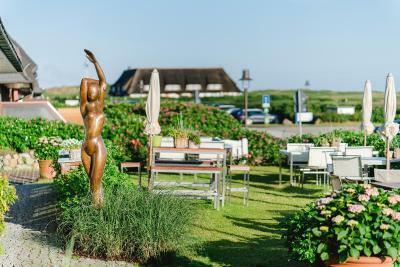 One of our top picks in Kampen.This elegant hotel is located in the village of Kampen, on the North Sea island of Sylt, 1,500 feet from the beach. Guests enjoy free use of the Finnish sauna and floral steam room. 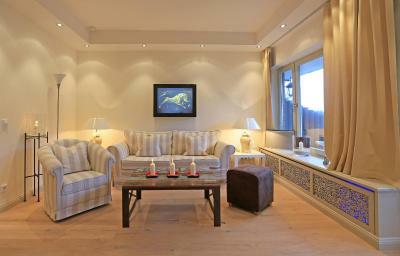 The rooms, suites and apartments of Hotel Walter's Hof feature luxury interiors, each with a unique design. 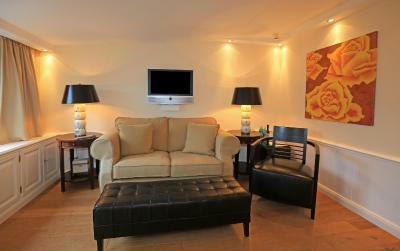 All include free Wi-Fi, satellite TV and a coffee machine, and some also have a kitchenette and terrace. 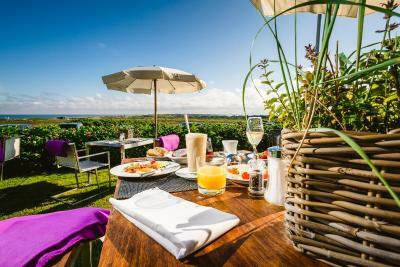 A buffet breakfast is served daily between 08:00 and 12:30 in the conservatory-style restaurant or on the terrace. 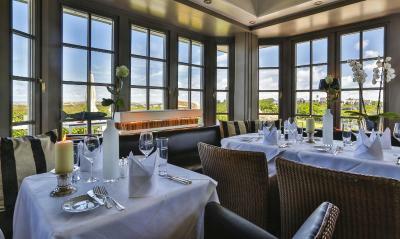 The restaurant and the terrace both offer tranquil views of the North Sea coast. 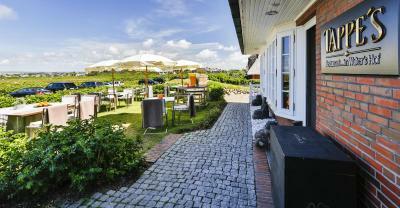 Guests can pay to use the solarium, or rent a bike at the hotel to explore Sylt. 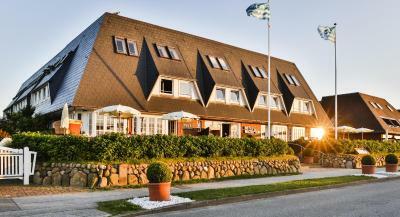 The hotel is 1.2 mi from Sylt Golf Club and 3.7 mi from Westerland . 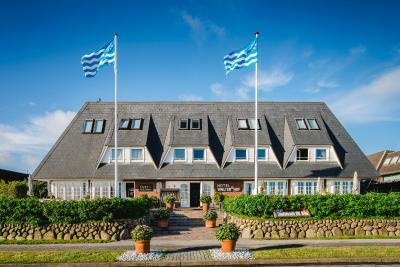 Free parking is provided at Hotel Walter’s Hof, and Sylt Airport is 3.1 mi away. 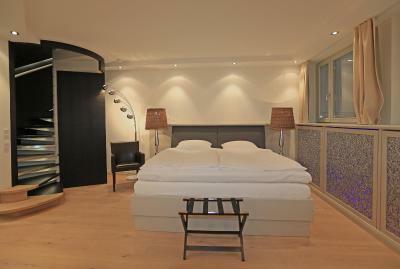 When would you like to stay at Hotel Walter's Hof? 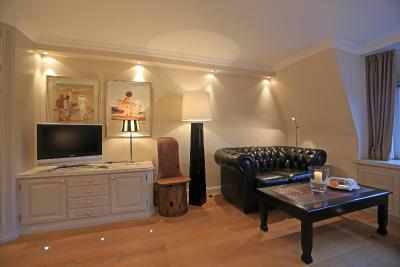 Features luxury interiors with free Wi-Fi, satellite TV and a coffee machine. This room also includes a seating area. This room offers extra space and a living area. 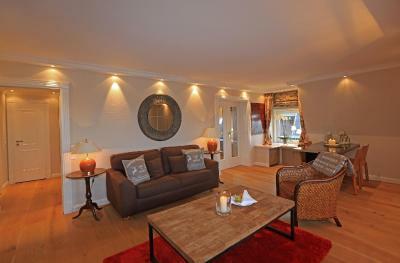 This 2-floor apartment features a fascinating view of both seas and the heathland countryside. It offers original design features and Frisian charm. 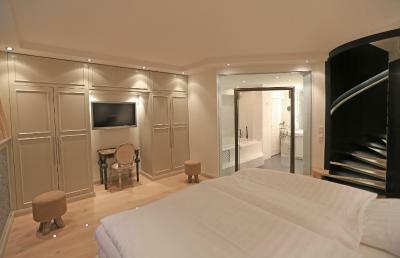 On the 1st floor are the living room, a dining room with 2 alcove beds, a bathroom with bathtub, as well as a kitchen. 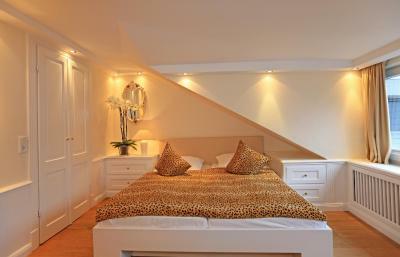 On the 2nd floor is a bedroom with double bed. 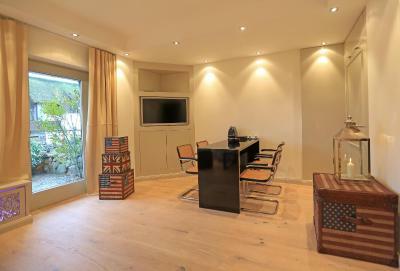 This apartment is a short walk from the hotel's main building, where guests are welcome to use the sauna. WiFi is not provided in the apartment. The rate includes the service charge (cleaning fee) and one set of bedding and towels. 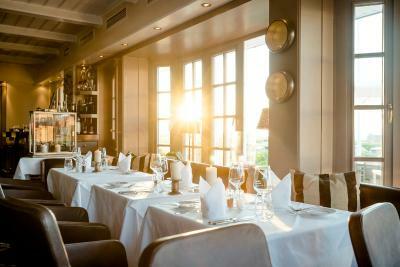 A daily room service is available on request for EUR 30 per time. 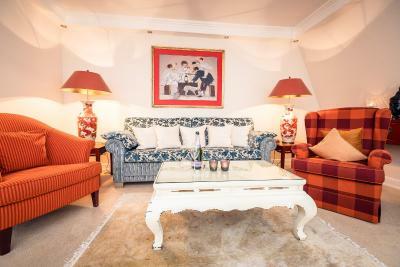 Features luxury interiors, free WiFi and 2 bathrooms. 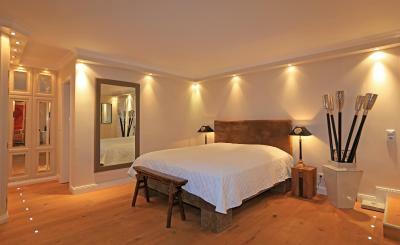 The suite consists of a master bedroom, children’s bedroom and a living room. 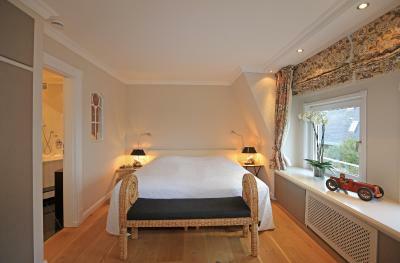 This boutique hotel in Kampen is the ideal base for exploring all year round. 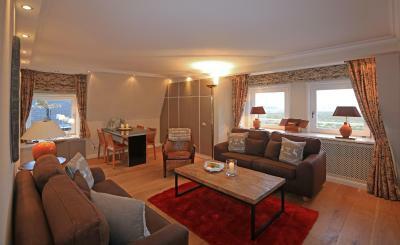 The stylish rooms and apartments offer a great view of the dunes. House Rules Hotel Walter's Hof takes special requests – add in the next step! All children under 4 years are charged EUR 15 per person per night in a crib. Hotel Walter&#39;s Hof accepts these cards and reserves the right to temporarily hold an amount prior to arrival. The spa was very limited- the showers in the sauna partly did not work, no real cozy area to sleep or take a nap, the steam room was not 100% warm. So I would not recommend it if you are looking for a spa experience. They charge you for everything, even the nespresso machine in the room. Staff/owner wasn't very friendly. It's a family owned hotel and they gave us the feeling that we aren't quite welcome because we were no "friends of the family". For 320 €/night I would expect a bit more "happy to have you here"
No luggage racks in the rooms. The soap and accessories in bathrooms could be more sufficient for this hotel categorie and better towels. We didn't use the spa, as pool seemed a bit cold and the sauna area Less inviting than the rest of the Hotel, but surely would serve the purpose.